Whenever possible I always like to address what the grain of salt is that my reader should keep in mind when reading a piece. In this scenario the grain of salt is: I like reading but I don’t as much as I should, and it’s likely impossible for me to read as much as I want to. So my experience is a little lacking but there’s another caveat here and that is this: this is essentially a novelization with a twist. Now, novelizations are a bit passé and if I recall correctly I’ve only ever read a few. What was interesting and irresistible here is: first, I was at Disney World when I spotted it. 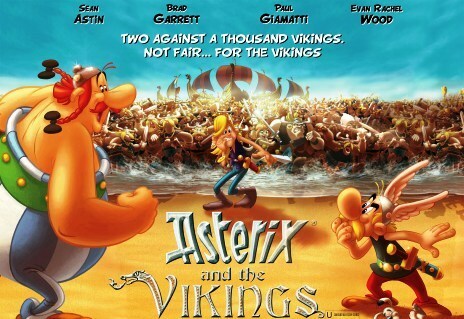 Second, it’s Asterix and an animated film, which I said is where the franchise should go (little did I know it had been there before). Now, it’s a hand-drawn (in terms of style if not technique), 2D film and that’s fine with me. I’d still love to see these characters and others get the motion-capture treatment as Tintin truly was a huge step forward for the technology to me, far greater than Rise of the Planet of the Apes. Regardless, the fact that this film is animated means there are stills and illustrations in the book and it gives you a fair glimpse of what the film is like and that’s the idea: to conquer viewers for the film through another medium and this film succeeds in that task. The images are plentiful, fairly well-selected and importantly are chasing the text, so the pictures don’t forecast the text but reflect it an allow the book to tell the tale. 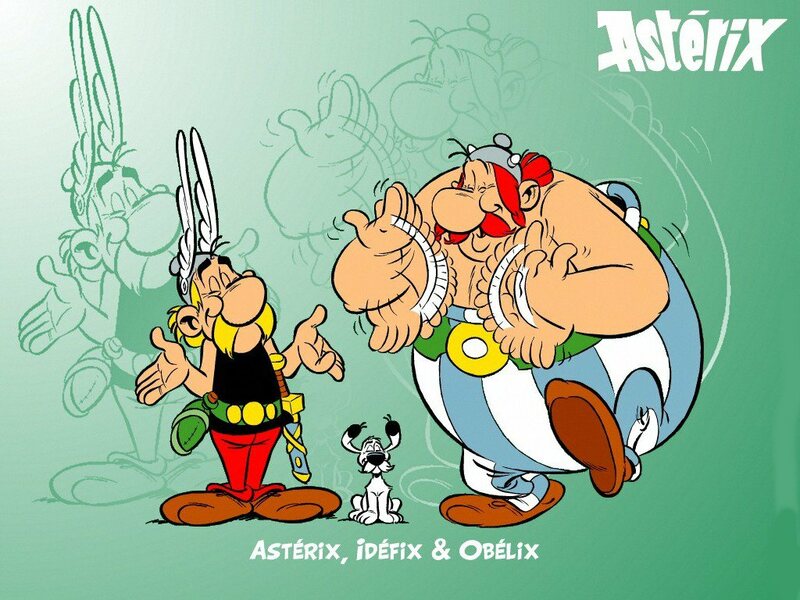 As with any Asterix title, there are laughs to be had but most of it does come through the prose, which is impressive since the pictographic nature of the usual tale Uderzo and Goscinny tell is somewhat altered here. The story also runs about as long as a typical Asterix tale 45 pages or so, but the bonus is that there are character, sketches and other making of illustrations and text that give you insight into the making of this film. It may not be available on region 1 DVD but where there’s a computer there’s a way and this book has certainly made me want to seek this film out. Mission accomplished.